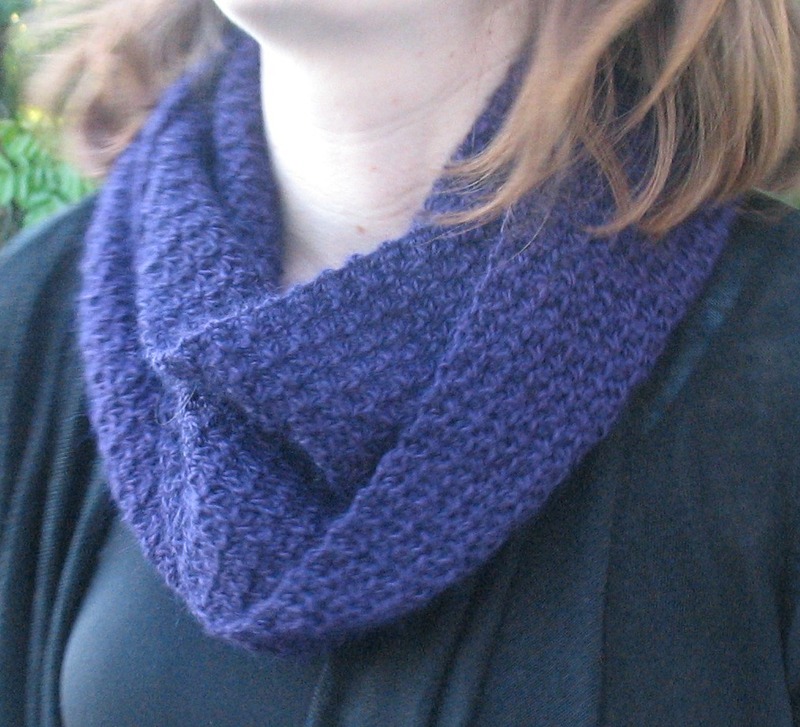 This is a very simple pattern for a cowl that is made entirely with the trinity stitch. I love the trinity stitch because it provides a very drapey and fabricky feel with an interesting texture. I made this cowl with an alpaca silk blend, Debbie Bliss Andes, for an amazingly soft and luxurious feel. Yarn: Approximately 550 yards DK weight yarn. For soft and scrumptious with some sheen, go for an alpaca silk blend like Debbie Bliss Andes. Gauge: 10 trinity stitches and about 8.5 rows equals a 4 inch square. Finished Dimensions: 7 inches wide, 60 inches long. Trinity Stitch: Insert hook in last stitch of previous trinity stitch, yarn over, pull through stitch, insert hook in next stitch, yarn over, pull through stitch, insert hook in next stitch, yarn over, pull through stitch, yarn over, pull through all four loops on your hook, chain 1, trinity stitch made! Here are two great tutorials to help you out: Yarn Tomato and Crochet by Teresa's Video Tutorial. Tip: Your first trinity stitch of each row starts in the last ch 1 of previous row, not in the last sc (this took me forever to figure out!). And, the last "insert hook, yo, pull through" of each trinity st should be in a previous row ch, not in a previous row trinity st. (If what I just said makes no sense to you, just follow the tutorials above!). Your trinity stitches should look kinda like squares stacked on top of each other, not on diagonals. Row 1: sc in second ch from hook, ch 1, work trinity st across row, sc in last trinity st. ch 1 turn. Row 2: sc, ch 1, work trinity st across row, sc in last trinity st, ch 1 turn. Row 3 to end: Repeat Row 2 until the piece measures about 60 inches. This will allow you to wrap the cowl around your neck twice easily without being too baggy. Finish: Weave in all your ends. Whip stitch ends of piece together (for a mobius wrap, twist once before stitching together. And you're done! I'm so happy to have discovered your gorgeous blog!! I adore your cowl - it is exactly what I've been looking for so will definitely add it to my to-make list. I am off now to have more of a look around! See you again soon. I love this stitch and cowl but mine measures 12 inches wide with an I hook. Is that OK? the width looks good to me. Yes, of course it's fine! I do have a rather tight stitch so it makes sense. You could go down a hook size if you wanted to get a narrower cowl, otherwise it's fine. Glad you like the cowl!